The cloud print feature lets you print documents from anywhere. You can access your printers from multiple devices, including your phone, tablet and PC. Note: Make sure you connect your printer to the service before starting cloud printing. 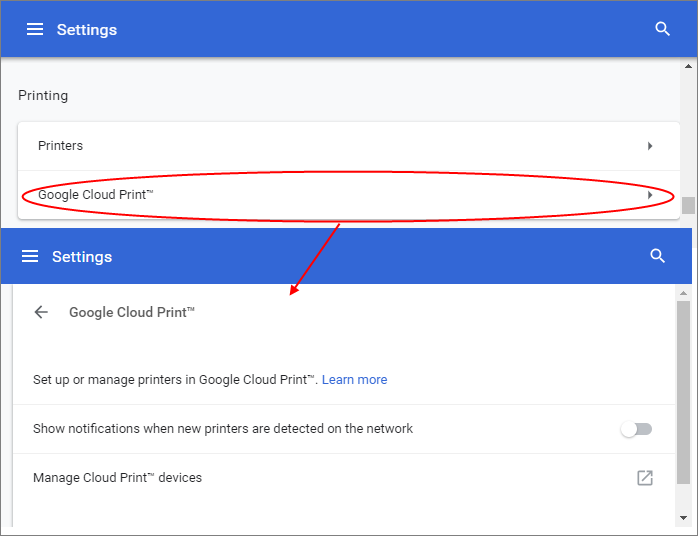 Click the 'Printing' section > Click 'Google Cloud Print'. Set up or manage printers in Dragon Cloud Print – Share your printers with other computers or print over Wi-Fi. Show notifications when new printers are detected on the network - If enabled, an alert is shown when a new printer is detected. You can then add the printer to Google Cloud Print. 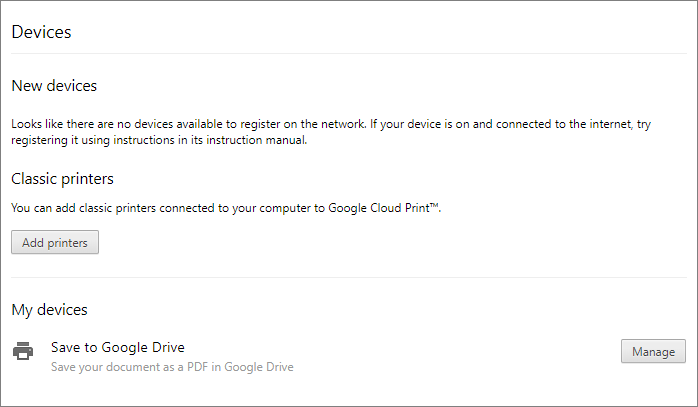 The selected printer is now connected to Google Cloud Print via your Google Account. You can print to this cloud printer from anywhere when signed in. You can share your printer with your friends who also can print after signing in to their Google Accounts. Select a printer you want to share from the list of printers and click 'Share'. Your friends will receive a notification.